Men are far more likely to commit suicide than women in Wakefield, this is also the case nationally. During 2014-2016, men accounted for 86% of suicides in Wakefield, this is much higher than the national comparator (75%). The most common form of suicide in Wakefield is hanging, strangulation or suffocation, 65% of all suicides between 2014 and 2016 was via this method. 1 in 5 of all deaths in the 18-39 age group for men is a suicide. 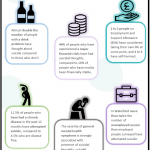 Approximately 7% of the population in Wakefield have attempted suicide at some stage, according to the Adult Psychiatric Morbidity Survey (APMS) 2014. Approximately 1 in 5 people (21%) in Wakefield have had suicidal thoughts at some point in their life (APMS 2014). Feeling suicidal or committing suicide is something that can affect the whole population. In terms of people who take their own life, the issue is more prevalent in males than females both locally and nationally. However, data from the Adult Psychiatric Morbidity Survey (APMS) 2014 suggests that the prevalence of suicidal thoughts is similar amongst both males and females, with around 21% of both genders reporting to have had suicidal thoughts at some point of their life. 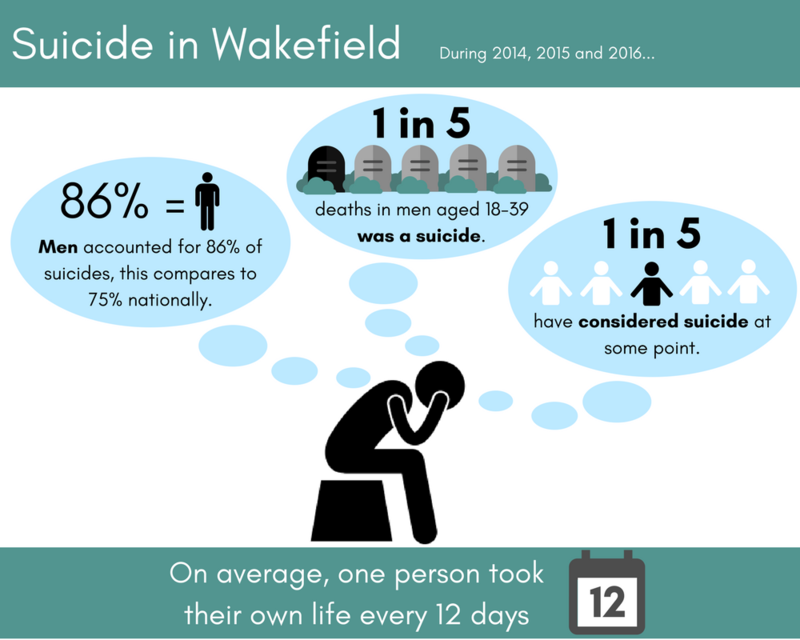 We have produced a comprehensive factsheet on suicide in Wakefield, using data from the APMS 2014. You can download it here.